• Supports GPS, GLONASS, GALILEO, BDS, SBAS. 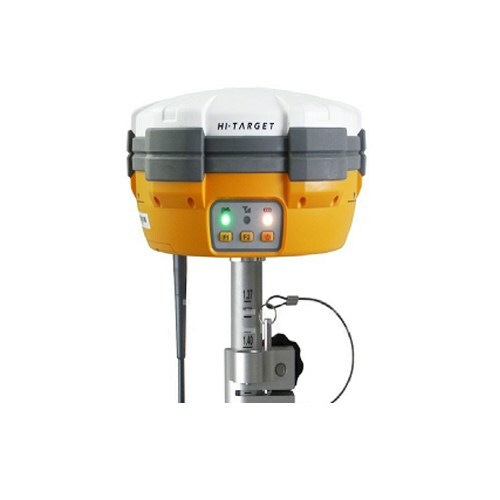 • NGS approved GNSS antenna. • Equipped with a smart speaker guiding the whole operation. • The transceiver UHF radio enables the working mode to be switchable between base and rover. TrimTalk© internal UHF radio is compatible with other radios. • Built-in GPRS/GSM/3G module ensures that the V30 works perfectly with network RTK positioning. • Powered by 5000mAh Li-ion battery. • Static working time 13 – 15 hours. • RTK Rover (UHF/GPRS/GSM) working time 10 – 12 hours. • RTK Base working time 8 – 10 hours. • Withstands 3-meter natural fall onto concrete. multipath effect to ensure superior positioning capability. Shock and Vibration: Designed to survive a 3m(9.84ft) natural fall onto concrete.